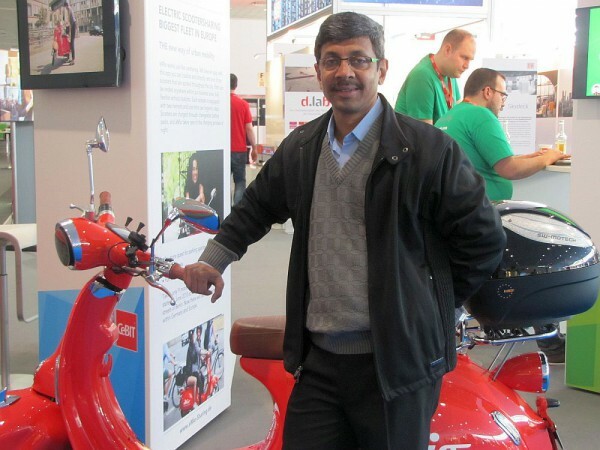 He leads a busy life with lots of travel in a month which gave him no time to work out. Being an event producer is no mean task you have to constantly be on your toes. But, that also meant not enough sleep, bad food habits, and high cholesterol levels. Brian, however, did not make excuses instead he decided despite the busy schedule, he will have to make that extra effort if he wants to get healthy. Today, his efforts have paid off with his cholesterol levels lower, being active by clocking 10000 steps daily and getting better rest and sleep. Let’s hear Brian’s story of change in his own words…. I am an event and conference producer. My event happens once a year at the end of the year but it can be pretty stressful at times when you are managing a large scale event.I am also a freelance journalist and have my own blog and website. Given my work, I travel extensively both domestically and international. Due to extensive travelling especially when its international travel, the body clock goes haywire, eating patterns get upset, sleep patterns get disturbed and sometimes even the water intake is not as much. I have now consciously cut down my travels. I got a GOQii band sometime in November 2015 as it was a giveaway in my own event. That was the time when my annual event takes place. It was a stressful time for me. The event ended on November 30th. But, I had not removed the GOQii band for almost 2-3 weeks because I immediately went on a vacation after my event. Then one day I just picked it up and decided to try it out. At this particular point, my cholesterol levels were high. My sleep cycles were irregular and had digestion issues as well. I, however, considered myself fit because I would occasionally manage to do some exercises. But, the other issues had to be controlled. It was a wake-up call and I knew I had to do something about it. Therefore, I decided to try the GOQii band. I connected with my coach Shiba Akhtar. I discussed all my issues with her and also mentioned I was taking medicines to lower my cholesterol. Technically, I had started using my GOQii band from December 2015. I had done my tests prior to going on my vacation and my bad cholesterol was 200 but after I started using the band and following my coach’s instructions on various aspects such as increasing water intake to 2 litres, sleep patterns gradually improved. I started walking a lot and being active. Instead of taking cars or auto, I tried to walk for distances which were manageable. Then I set goals for myself on the band from 6000 steps it went to 7000 steps and those goals were easily achievable without going out in the park, just in the commute as I commute by public transport. Now, I clock 10,000 steps daily however the goal is to increase this and clock 12k steps daily. I also cycle during the weekends and walk for about 40 minutes to an hour in the park. The band actually helped me get on a fitness path. 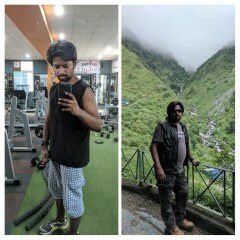 What has also really changed in the last two months is my diet. I am off red meat now, and when I go for events or conferences I stick to plain curd rice or just rice and dal. My coach has also introduced some new things in my diet like watermelon and flax seeds and oats. These things I wasn’t taking before all new things have been introduced. Fruits and assorted nuts also I have daily. And, I am avoiding lot of rich foods. I am happy with my achievement so far. But, again it’s not only the band making a difference it’s a combination of things. It’s a strict discipline that I have now chalked out for myself. 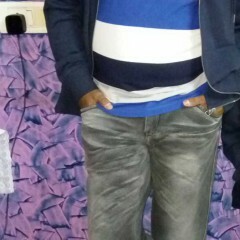 It’s been very difficult at times with my hectic schedule but I have tried to keep to my new routine. Success comes with a lot of hard work. If you want to achieve your goal you need to maintain discipline and follow your coach’s advice. My coach has also been giving me some exercises to do. My current goal now is now to reduce the waist…belly fat. After three months when I went for my test my cholesterol levels were lower. I am in constant touch with my coach. It’s this constant communication with the coach that is helping. I am sure together we can make it work. Also, what I like about my coach is the fact that she is not too pushy as she knows my lifestyle. But, the thing is that I listen to her and I am disciplined. We do make frequent changes if something is not working out. Having said this my coach is pushy on two things water intake and the oil that is used for cooking. In fact, taking her advice I have changed my cooking oil and now I use only olive oil. I do indulge in rich foods once in a way probably during festivities or some family functions. But, I immediately try to burn it off next day. The GOQii concept is pretty good because there is somebody to monitor you and make you understand. Prior to GOQii, I was going to purchase a FitBit band but then when I talked to people who were using it they told me that it’s only a step and pulse tracker. It does not really take care of the whole thing. You need a holistic ecosystem just as GOQii has. Many often forget: half the battle when it comes to fitness is just being able to objectively and easily assess how active you are on a daily basis. Here is where the coach helps. The coach is always pushing you and keeps you motivated. It should not just be about steps and sleep. It should also be about diet and wellness, overall wellness. Finally, it’s your own discipline and your routine that will help you stay fit and healthy. I am feeling much better than what I was in November and more relaxed that I can think clearly, I can sleep better. I am mentally calmer and at peace. 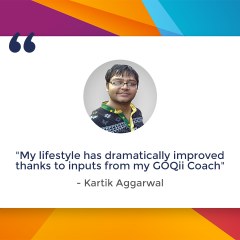 GOQii has definitely helped me get more fit and heart-happy. *Advised him to work out either walk/aerobics 3-4times in a week and sent him aerobics links for the beginners. *Since his water intake was low, we increased the water intake to 2 litres daily. I kept a check on him on a daily basis.Meanwhile, I was also working at his cholesterol levels. Advised him to take lots of fibre and omega-3 rich foods.By the end of December, both his water intake, sleep cycle and digestion had improved. He was also clocking higher steps at around 7000 and doing his workouts. I also regularly kept sending him tips on how to lower cholesterol. I advised him to do exercises such as the Russian twist, crisscross, leg raise, reverse crunches, heel touch for 30min for his waistline reduction. 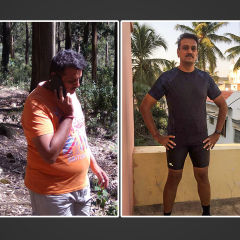 I also advised him to sip green tea, take sugar and fat in moderation, include lots of Salads and Fruits in his diet, small and frequent meals were also advised.Brian met the 10k steps target easily, simultaneously he was motivated to keep himself hydrated. Drastic improvement from the previous report. He has started working to boost his HDL. I advised him to switch his oil from rice bran to canola/olive and opt for sea foods.Brian is reaching his goals flawlessly. We are working hard to get goals on time. I have now introduced TABATA and NeilaRey. I closely monitor his diet through the logs. After the introduction of Neila Ray, walk/running well we also introduced cycling. He has been doing well so far and meeting all his targets.